This one seems pretty simple. 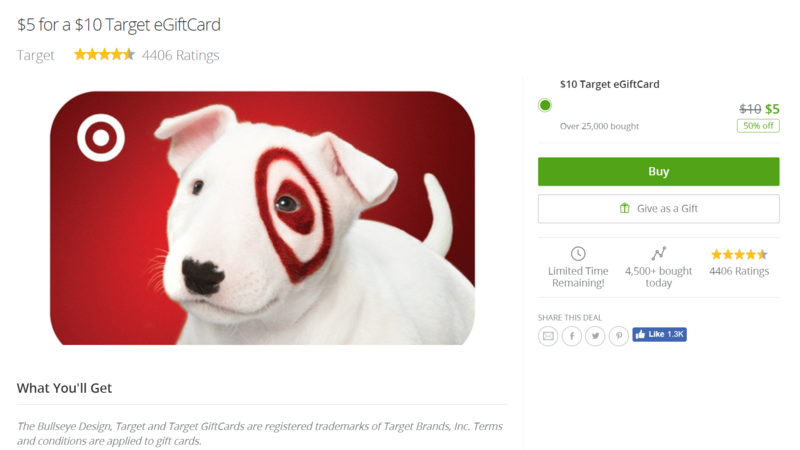 For $5 you can get a $10 Target eGiftCard on Groupon. Whether you're a stingy grandparent looking for a way to be a bit more modern and avoid writing a $6.72 check for little Suzy's graduation gift, or if you're just hoping to double your cash somewhere you already spend money, it's not a difficult deal to understand. There's one big exception for all of this, though. It's one of Groupon's "invitation only" deals, which means you'll likely need to already have a Groupon account in order to take advantage of it. 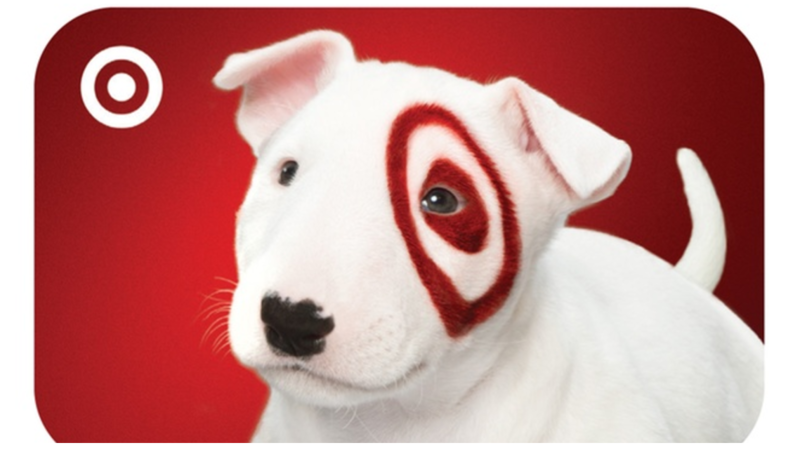 To reiterate, $5 + Groupon deal = $10 at Target, but you need to be an eligible Groupon member. Some of us here at AP were able to use the deal even without receiving the email, but others weren't. Your luck may vary. That thing up above becomes this thing down below in a $10 denomination if you are part of their designated email group for this promotion. The math isn't difficult, but Groupon's caveats might be.